Farming is an Artisan profession. 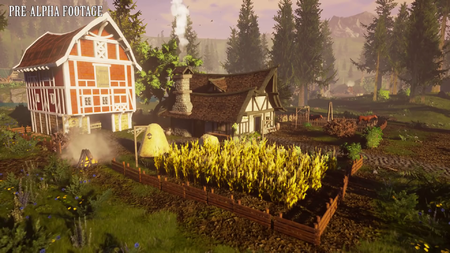 Pre-alpha farm on a freehold plot. Freehold expansions and upgrades are available as node progression allows. Some of these improvements affects the size of plots available for crop planting. Artisan freehold features are also affected by adjacent terrain features. For example: building next to a river provides a nearby source of clean freshwater, and will have a positive effect on crops. 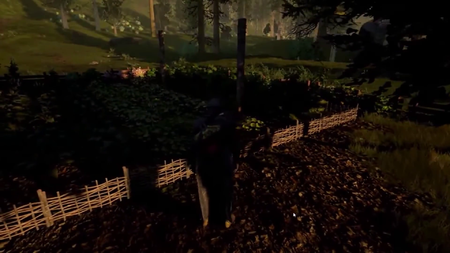 Based on node type and progression, players will be able to hire NPCs to work as farmhands on their freehold farms. 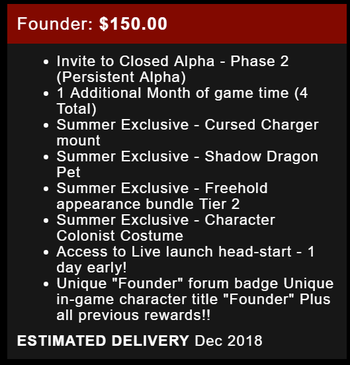 Players will be able to command these farmhands online in-game as well as offline via an application (mobile app) or web interface. Plant or harvest specific crops. Crops are farmable on freehold plots. Farmable crops have applications beyond basic food items. Seasons affect the crops (resources) available for planting as well as how crop rotation is managed. Resources will be different in the Underrealm. This will affect Farming and Animal husbandry professions. 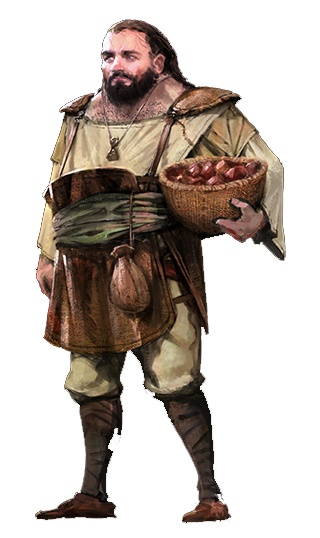 Since players may only have one Freehold, they must choose their Artisan specializations accordingly if they wish to place it in the Underrealm. ↑ 2.0 2.1 2.2 Livestream, 30 May 2017 (20:01). ↑ Livestream, 5 May 2017 (32:44). ↑ Livestream, 16 October 2017 (56:42). ↑ Livestream, 5 May 2017 (15:47). ↑ Livestream, 17 November 2017 (11:00). ↑ Video, 25 May 2017 (4:37). ↑ 9.0 9.1 Livestream, 5 May 2017 (32:11). ↑ Livestream, 1 June 2017 (27:50). ↑ Livestream, 17 May 2017 (46:05). ↑ Livestream, 24 May 2017 (27:06). ↑ Livestream, 8 May 2017 (20:27). ↑ Livestream, 1 June 2017 (24:30).